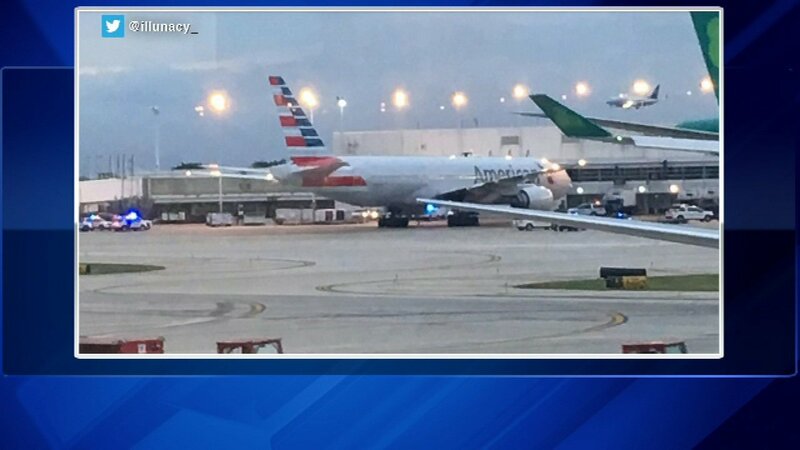 CHICAGO (WLS) -- American Airlines Flight 91 from London to O'Hare landed safely around 7:30 p.m. Monday, according to an airline spokesperson, but was then swept by police as a precaution. According to the American Airlines spokesperson Lakesha Brown, the flight went to the gate like normal and passengers deplaned. After that, police boarded the plane and conducted a sweep of it as a precaution after they received a non-credible threat.